Strawberry for Weight Loss Word templates - benefits of strawberries, not only in excellent taste and low calorie. It is recommended to eat for people suffering from obesity, high blood pressure, weak walls of blood vessels, atherosclerosis and coronary heart disease. 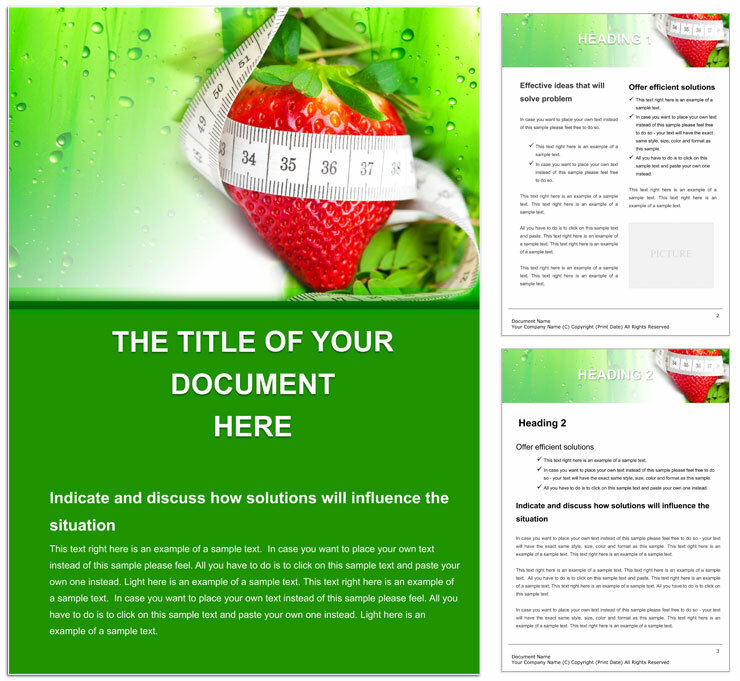 Download Strawberry for Weight Loss for Word documents.